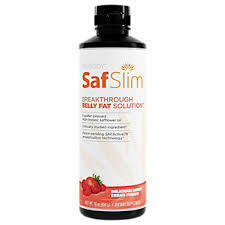 Categories: Blood Sugar, Cholesterol, Diet Brands: HFL Solutions. CHEATMeals is an all natural capsule that contains organic herbs and digestive enzymes – which is designed to help accelerate weight loss by blocking the absorption of sugars, carbohydrates and fats, from the foods you eat. Because less food is being absorbed, you are thus eating less calories and there will be weight loss. 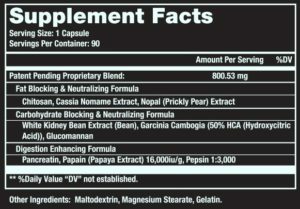 The recommended use as a dietary supplement is to take 3 capsules with 16 oz. (2 cups) of water, 15-30 minutes before each meal containing carbohydrates and/or fats. 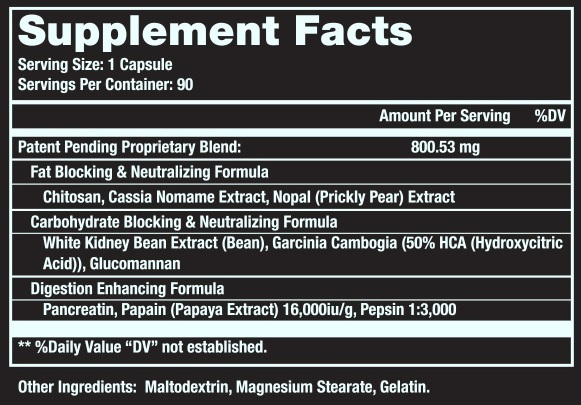 It is best not to exceed 6 total capsules per one meal and not to take more than 12 total capsules per day. The products and the claims made about specific products on or through this site have not been evaluated by royaltyhealth.com or the United States Food and Drug Administration and are not approved to diagnose, treat, cure or prevent disease. The information provided on this site is for informational purposes only and is not intended as a substitute for advice from your physician or other health care professional or any information contained on or in any product label or packaging. You should not use the information on this site for diagnosis or treatment of any health problem or for prescription of any medication or other treatment. You should consult with a health care professional before starting any diet, exercise or supplementation program, before taking any medication, or if you have or suspect you might have a health problem. 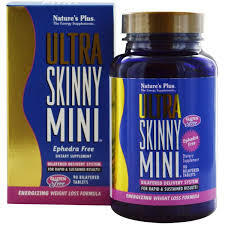 Under US FDA law, it is illegal for a manufacturer to make any medical claims for health supplements. All statements made are intended for informational purposes only. These statements have not been evaluated or approved by the FDA, and our products are not intended to diagnose, treat, cure or prevent any disease.